Jake Rabbit rockin' the stripes! Originally Submitted to FurAffinity.net on Sep 24th, 2014 11:11 PM. 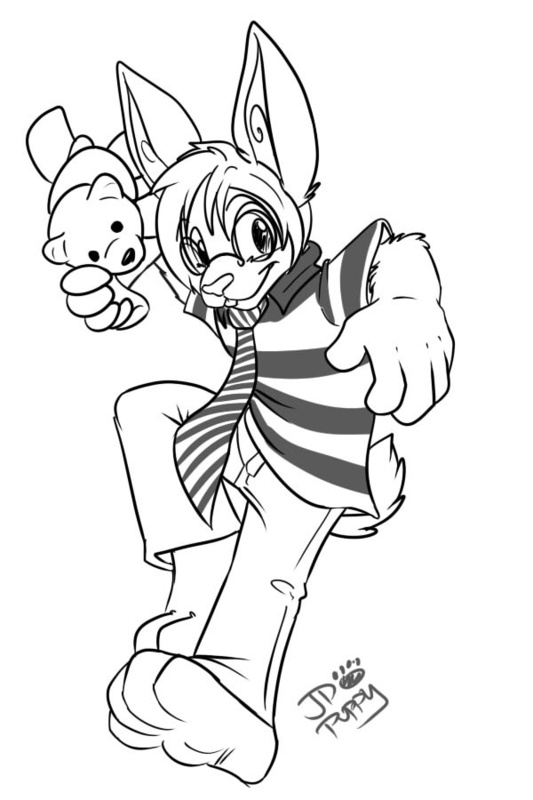 Here's a pic for rabbitstripes sporting his iconic striped shirt and tie, accompanied by his best buddy bear!